When you see silverfish in your home, should you seek help from NJ pest control services? These small pests can be a nuisance and ruin your belongings, but how much of a threat are they to humans? Silverfish are long, thin bugs that are covered in silvery scales. Their appetite for a wide range of materials makes them a pest when they get into residential buildings. These bugs feed on materials that have high amounts of sugar, starch or protein, but this doesn’t mean foods only. Silverfish are also known to make holes in books, paper, wallpaper and other items around homes that have these materials. Although these holes are small, they can end up damaging these items. 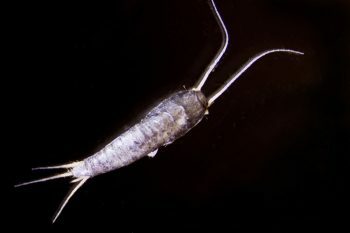 While silverfish are known for biting household items, they don’t bite humans. This means they’re not a threat to humans, although they’re still considered a nuisance. If you have silverfish around your home, such as in your basement, it’s important to have them eliminated to prevent them from damaging items. Professional exterminators can get rid of these bugs for you and lower the risk of having them come back and cause more trouble. If you have silverfish in your home, please contact Allison Pest Control for help. Our NJ pest control services can eliminate these troublesome pests from your home. Flies and gnats can be big problems. House flies are a common sight in homes during the summer months, but what about those small flies that show up just about any time during the year? These tiny flies can prove to be a big problem that requires expert help from the best exterminator in Ocean County. If you have one of the following in your home, it’s time to get in touch with pest control professionals. • Fruit flies: These flies are roughly 3 mm in length, including their wings. They have a tan thorax with a darker colored abdomen and red eyes. • Fungus gnats: These grayish-black gnats range from 0.5 to 4 mm in length, including their wings. • Phorid flies: These yellowish or brownish flies have small heads and a humpback-shaped thorax. They range from 1 to 3 mm in length, including their wings. • Drain flies: These gray or tan flies look like small moths, although they only have two wings rather than four. They range from 4 to 6 mm in length, including their wings. Removing the source of breeding can help you prevent fly or gnat infestations. Keep in mind, though, that you might have these flies living in hard-to-reach spaces, such as inside walls. If you have a gnat or fly problem, count on the best exterminator in Ocean County for help. Contact Allison Pest Control, so we can help you rid your home of these pests. Are Robot Makers Taking Tips on Design From Cockroaches? While the sight of cockroaches usually means it’s time to bring in Monmouth County pest control, these insect nuisances do serve a purpose. Researchers have been studying cockroaches in order to build new robot models. Researchers at the University of California at Berkeley are using the American cockroach as a model for robots due to their size and speed. Two of the abilities that these researchers are paying close attention to are cockroaches’ ability to move incredibly fast and their ability to squeeze through tiny cracks. Scientists discovered that roaches have rigid plates joined by soft tissue that allow them to flatten themselves when going through small crevices and cracks. This observation could lead to more efficient robotic designs compared to the more wormlike designs that currently exist. One of the uses that researchers envision for these robots is sending them into buildings that have been destroyed by natural disasters or war in order to look for survivors. While it might be surprising to think of cockroaches as a source of inspiration for tools that could save humans, these insects do have some fascinating biological features that can be put to good use through continued research. 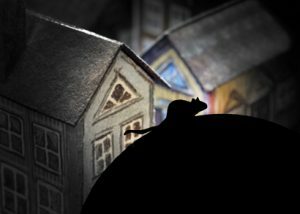 If you have a cockroach problem in your NJ home, call the Monmouth County pest control experts at Allison Pest Control. We’ll make sure your home is free of these insect pests. How many creepy crawlies are sharing your home? A recent study by of 50 houses in the Raleigh area by researchers from North Carolina State University, the North Carolina Museum of Natural Sciences, and the California Academy of Sciences is amazing Monmouth County pest control experts. More than 500 different kinds of arthropods, small invertebrates like flies, ants, gnats, lice, beetles, termites, and spiders. The sneaky stowaways are thought to have made their way in from outside – or accidentally introduced (cut flower, local produce) – getting overly comfy in your hospitable home. The exploratory inventory, the first of its kind, is sure to spur additional studies in efforts to answer some exciting scientific questions, such as what microbes insects host that affect health, and what role pests play in the home ecosystem. Tired of sharing your space? Give ‘em an eviction notice. Contact Allison Pest Control, your Monmouth County pest control experts, today.